Jeff Tkac poses in October, during his successful run for the Ward 5 Bakersfield City Council seat. The Bakersfield City Council voted unanimously to authorize a special election to replace Tkac, who took his own life Jan. 5. Bakersfield City Councilmember Jeff Tkac. Tkac took his own life Thursday, according to police and source reports. Newly installed Mayor Karen Goh with City Council members Willie Rivera, left, Andrae Gonzales, Ken Weir, Goh, Bob Smith, Jacquie Sullivan, Jeff Tkac, and Chris Parlier, on Tuesday, Jan. 3. Bakersfield Mayor Harvey Hall welcomes new Councilmember Jeff Tkac to his first meeting in this Dec. 14 photo. Tkac took his own life Thursday, multiple sources told The Californian. Bakersfield City Clerk Roberta Gafford, left, gives out certificates of election to new Bakersfield City Councilmembers Andrae Gonzales, left, and Jeff Tkac along with re-elected Councilwoman Jacquie Sullivan, right, Wednesday evening in the Bakersfield City Hall, City Council chambers. Outgoing Bakersfield Mayor Harvey Hall, left, and Councilmember Bob Smith look on. Bakersfield City Councilman Jeffrey Tkac died Thursday, just weeks after assuming his Ward 5 post. He was the owner of Water-Ways Irrigation Engineers Inc. Newly sworn-in Bakersfield City Councilman Jeff Tkac took his own life Thursday, several sources told The Californian, stunning colleagues who saw no troubling signs during his second council meeting earlier in the week. Tkac, 53, an irrigation company owner and longtime planning commissioner, was found dead inside his home of an apparent suicide, according to sources and details from a Bakersfield Police Department news release, which did not give Tkac's name. The release said police were dispatched around 11:30 a.m. to a residence in the 8600 block of Dinard Place in southwest Bakersfield and found the body of a man. A gun was recovered. Tkac defeated incumbent Harold Hanson in the Ward 5 race in November. During his swearing-in ceremony Dec. 14, Tkac said it was humbling to join the other council members on the dais and "be a part of this great city." Tkac was married with children. He attended Wednesday night's City Council meeting. Former Bakersfield Mayor Harvey Hall learned of Tkac's death Thursday shortly after Hall Ambulance personnel were dispatched to the councilman's home. Hall went straight to the residence of his longtime friend to offer condolences to Tkac's widow, but police informed Hall she was too distraught to see him. "The last thing he said to me on Tuesday night was, 'I will miss serving with you,'" said Hall, referring to the longtime mayor's handing over the reins of power to new Mayor Karen Goh. "His demeanor was always so positive," Hall said. "He always had a smile on his face whenever I would see him. 'Harvey, how you doing, man? Good to see you.' What the city is going to miss is not having this new member be able to spread his enthusiasm and his energy and his willingness to serve." Councilwoman Jacquie Sullivan said she was shocked and deeply saddened when she heard the news of Tkac’s passing just after 2 p.m. Thursday. The council, Sullivan said, had already started to gel into a great team during what was one of the best possible first meetings Dec. 14. His children, she said, were deeply involved in Tkac’s successful campaign to win his city council seat, walking door-to-door with him. “He had a good, strong victory. He created a good, well-respected name for himself,” Sullivan said. There was no indication, she said, of something wrong behind the scenes that would now explain his death. “He just seemed upbeat and we were looking for a good term,” she said. Sullivan said Tkac was late to Wednesday’s 5:15 p.m. meeting, but there was a good reason for that. Tkac’s 20 years on the Bakersfield Planning Commission had, it seems, created a routine for him. “The commission meetings started at 5:30 p.m.,” Sullivan said. Tkac left the council dais Wednesday night without a goodbye, she said. But at the meeting, Sullivan said, Tkac was surrounded by support, friendship, positive energy and enthusiasm for a new term. "That's what he went home with last night," Sullivan said. "I'm completely shocked," said Councilman Willie Rivera. "He seemed so vibrant and full of energy and I was really looking forward to working with him for my next two years on the council. "I think it's a real loss for our council, we lost a member of our team. It's a loss for the city of Bakersfield." Condolences were also shared on social media. "I'm saddened to learn that Bakersfield City Councilman Jeffrey Tkac passed away," Kern County Supervisor David Couch, a former Bakersfield councilman, wrote on Facebook. "He was a good man. My thoughts are with his family." Goh was ill Thursday and unable to talk much on the phone. She referred a reporter seeking comment to the city manager's office. City Manager Alan Tandy said his office would field media calls at a later time. "It is my belief that the Coroner has obligations as referenced in the (BPD) press release, and that out of respect and to provide time for the family and friends of the decedent to be notified, that some passage of time is the appropriate course of action this day," Tandy said by email. 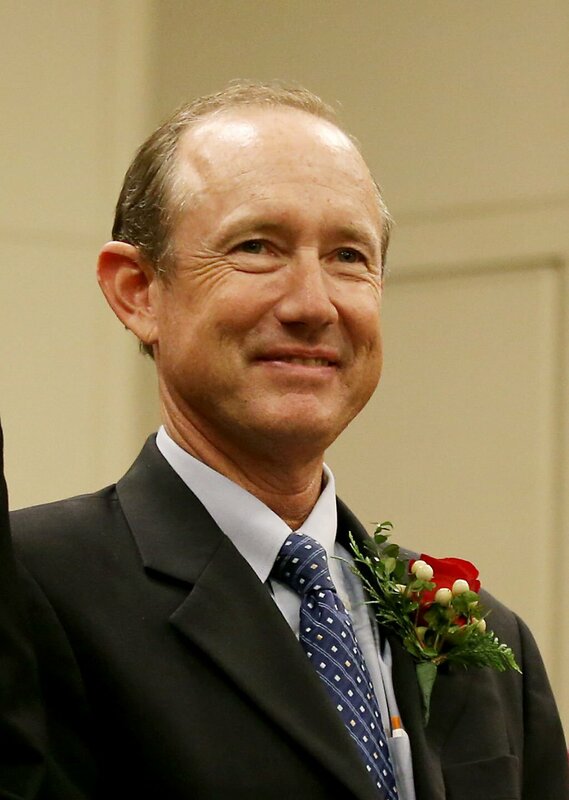 Before being elected to the council in November, Tkac was known as a 29-year reserve officer for the Bakersfield Police Department and for serving as a city planning commissioner for 20 years, motivated to join by opposition to building The Marketplace, which he supported and called "one of the jewels of our town." A Bakersfield native, his day job was running Water-Ways Irrigation Engineers Inc., the irrigation company his father co-founded in 1950. He was also a former semi-pro skateboarder and member of the city' s Endless Wave team. In running for council, Tkac said he would like to see the BPD add 35 sworn police officers to its current complement of 404, and boost its reserves from nine to 50. He also spoke of reviving the idea of motorcycle traffic officers and starting mounted patrols downtown. Tkac also said he'd focus on helping Bakersfield's homeless and getting the city's many road projects finished. The process to replace Tkac on the council can take two paths forward. According to the city's charter, a petition signed by 25 percent of the voters in the previous Ward 5 election would require the city council to hold a special election to replace Tkac within 180 days. If no petition is filed within four weeks of the vacancy, the council may choose to either appoint a replacement or hold a special election. Interim Bakersfield City Clerk Pam McCarthy said the council can appoint an interim council member to serve until the election — if it is called — is complete. The special election could be costly, she explained. “I don’t know what a special election would cost but the city’s share of the November general election was in the range of $350,000,” she said. Former Mayor Hall said he has contacted Tandy with an offer to help the city in any way he can — including filling Tkac's seat in an interim capacity, though Hall said that might not be possible since he doesn't live in Ward 5. "If the council were to call me to serve, whatever their desire of my service would be, I would do it. I served the city citywide for 16 years." Hall offered a story that he feels perfectly captures Tkac's good nature. During the recent campaign, Hall told his friend he would be supporting Hanson, Tkac's rival, because it was the mayor's policy to back incumbents. "He said, 'I understand. You'll always be my friend anyway.'" Jeff Tkac is sworn in as a member of the Bakersfield City Council on Dec. 14, 2016. Perhaps the police should look at his employees records. The dirt is there. Or shall I just put it on social media? Jeff Tkcac used blackmail and intimidation tactics against anyone he wanted to destroy in buisness I for one was one of the people who he tried using his power of being law enforcement to benefit his buisness. I can tell you that there were a lot of farmers he ripped off and I would have no problem exposing what might have led him to his suicide. Officials should look into his books and emails to see what he may have done. Bakersfield is better than Venice...er I mean Frazier Park. At least the people here are more respectful. when it comes to the courts the judges and attorney find me a good one been here 20 years and never met a respectful attorney or judge they are good about getting together and talking about the cases and calling u names no respect u hire an attorney he talks to the other attorney they both talk to the judge and u never get your day in court because they made up there minds what whats without checking into anything review the attorney always charges u for reviewing your case goes to court and he is not ready because he does not know your case. Stream of consciousness much? Feel free to toss in a period occasionally. Shocking and completely unexpectedly unexpected news. My condolences to the family.